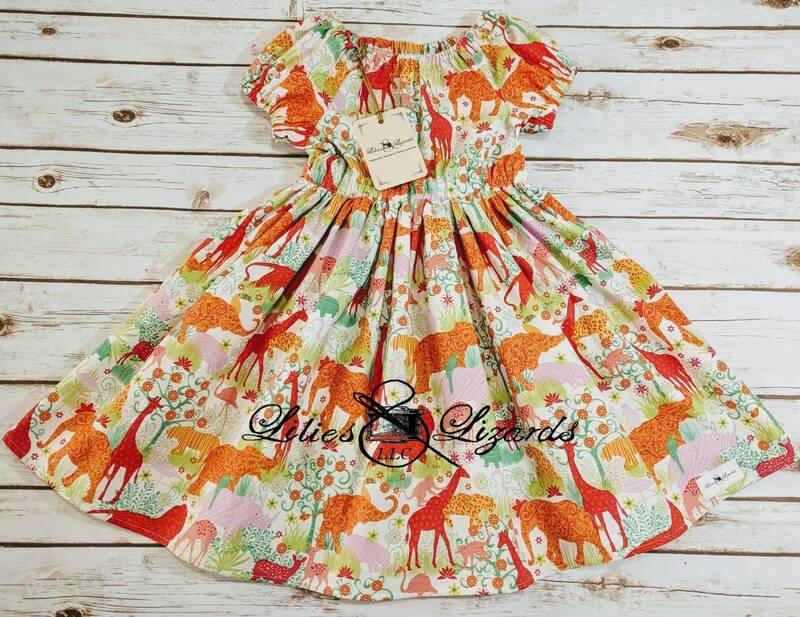 This beautiful dress is perfect for a day at the zoo, a trip to the Animal Kingdom, a drive-through animal safari or for any animal loving little girl! Features an elastic waist, neckline and sleeve cuffs as well a full skirt. Fits true to size. 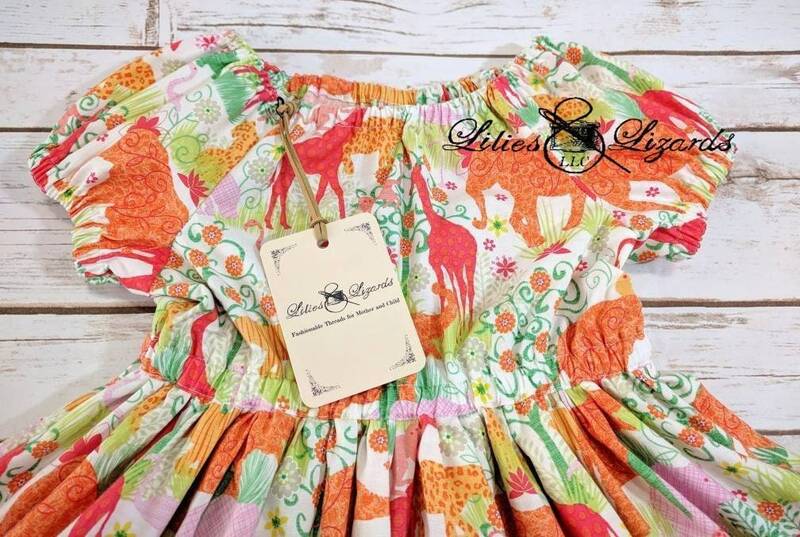 Crafted from pre-washed and dried, soft cotton fabric designed by Gail Cadden for Timeless Treasures. This print is discontinued and no longer available. I have enough for 1 dress.